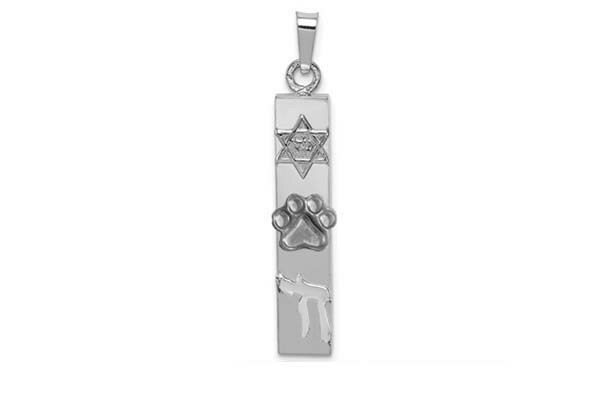 SS Mezuzah w/Star & Chai Pendant w/Puppy Paw® Comes w/a very simple 18", sterling silver chain. This Puppy Paw® can even be made into a Mother's Paw® that can hold up to 7 birthstone crystals! Engraveable - Just add a note at the end of your order.